On Saturday September 10th, I was honored to welcome guests at the opening of The Bridge exhibit in the Sinclair Gallery on campus. It was a fabulous evening. 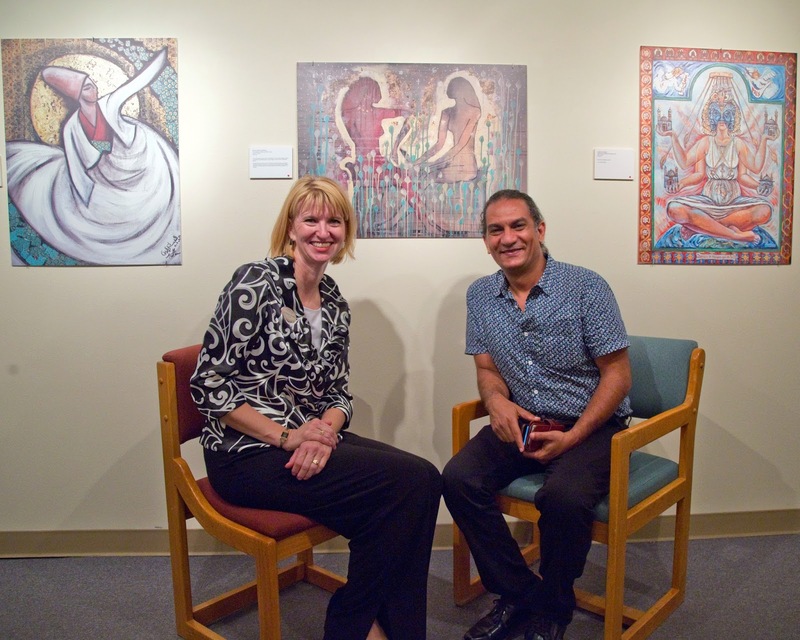 I had the opportunity to sit down with artist, Reda Abdelrahman Selem, from Cairo to visit about his work, "Love Between East and West." He said, "Symbolically, it represents how we should all naturally relate to each other." 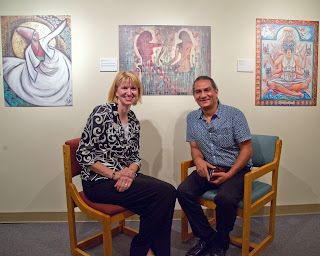 If you have not yet seen the exhibit, I encourage you to take few minutes to walk through the gallery. Make sure you read what the artists have written about bridging culture to go with their pieces. Last night, my family and I hosted our international students for dinner. Following dinner, some of the students joined my sons in the back yard for a game of soccer. Although their native languages were different, I witnessed in my own back yard, the universality of the language of soccer. Symbolically, it represents how we should all naturally relate to each other.